Weight Watchers regularly release a few new products and I had a mini jump for joy when I saw these Weight Watchers Mini Custard Cream Bites. Despite the use of mini, because let’s face it mini snacks leave you wanting more, I still had to throw these in my basket. I used to eat custard creams and bourbons for that matter like they were going out of fashion. Nowadays I prefer Hobnobs with my cuppa but every now and again a custard cream will slip on in. 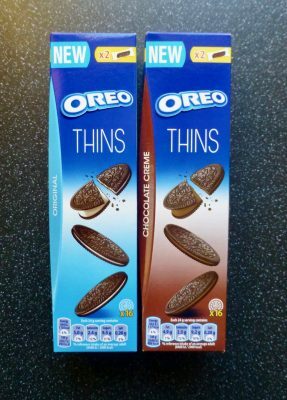 Weight Watchers have harnessed this humble cream filled biscuit to give it a Smart Point (SP) friendly makeover. For those not familiar to Weight Watchers every food, branded or not, has a SP value based on the kcal, sat fat, sugars and protein, and you have a certain amount of SP you are allowed each day. 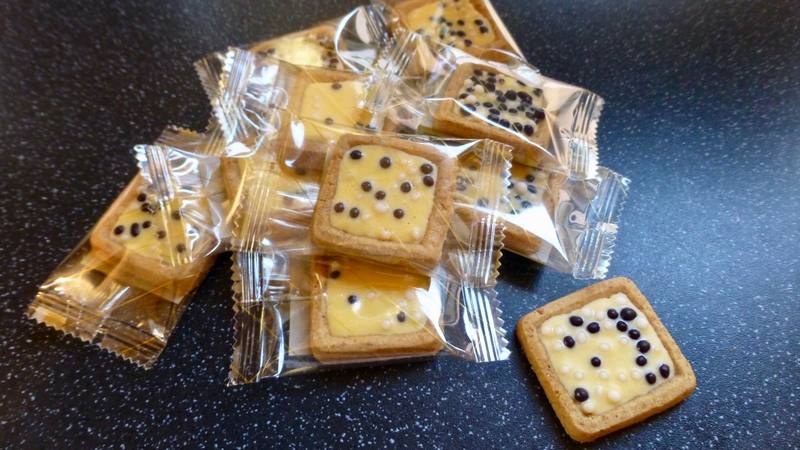 These Custard Cream Bites are available in meetings as well as on the online shop. As you can see they are individually wrapped and look pretty snazzy with their crisped coca rice decorations. A box of 10 will set you back £1.95, which is the top end of the Weight Watchers priced sweet products. The biscuit carrier for the custard filling was crisp, sweet and had a nice flavour to it. The custard flavoured filling was sweet and had a very subtle taste of custard but not one that was immediately identifiable, and no way near as strong enough as I had hoped for. The puffed cocoa rice, although inconsistent, goes surprisingly well with these mini bites and gave a good pop of texture. The rice isn’t really a necessity, just a nice added extra. As a whole the three components work perfectly well together and although I could have happily munched on a few more, one was enough. 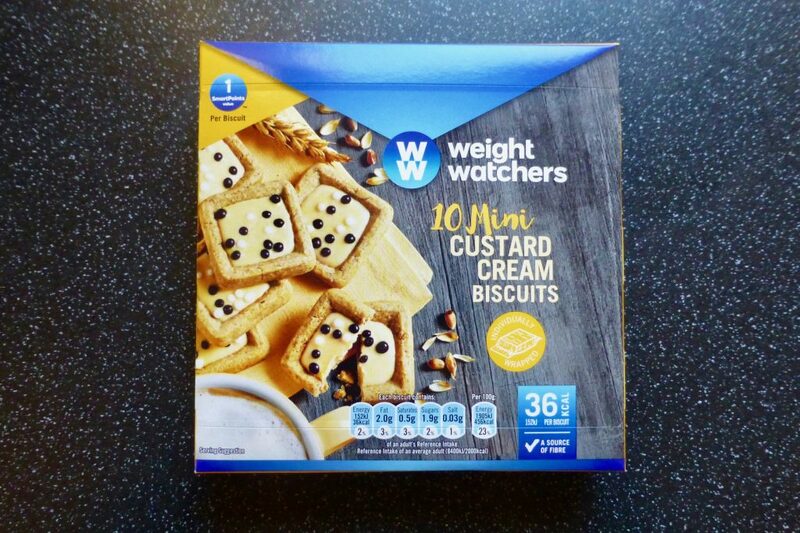 I wouldn’t go as far as saying these Weight Watchers Mini Custard Cream Biscuits remind me of the classic biscuit, not because it isn’t the typical sandwiched biscuit, but because the custard flavour is lacking. 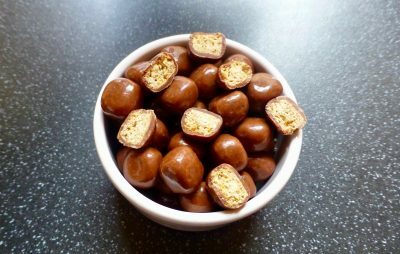 As little biscuit snacks go these are nice and being low on SP they are going to be favourable as a sweet treat or elevsies. I must try these, I really like the cranberry and hazelnut yoghurts they sell on their site.